The Death of Superman is a hard act to follow. Considered one of the best DC Animated Original Movies in recent years and, in my opinion, the best Superman movie in decades, Death told the well known story of Superman’s heroic sacrifice to save Metropolis, and the world, from Doomsday. Reign of the Supermen is the first real attempt to tell the second half of the story, but can it live up to the promise of the first movie? Picking up six months after The Death of Superman, the world is still mourning. 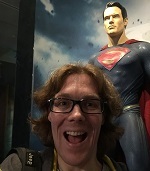 Director/Producer Sam Liu sets a good pace as the film opens, giving us time to feel Superman’s loss but also wasting no time in introducing the four new Supermen. Even with a run time of 87 minutes, there’s a lot of material to get through; from introducing the new Supermen, to Lois’ investigation into these new heroes, to the (spoiler alert) return of Superman and the climatic showdown. The film is amazingly well paced, hitting all of the required story beats whilst still allowing the emotional moments room to breathe. There’s never too much going on, but some characters don’t get as much time to shine as fans of the original story might like. As it stands, Steel and the Eradicator do feel underdeveloped as the story necessitates a greater focus on Superboy and the Cyborg Superman, before shifting focus to the return of Kal-El. 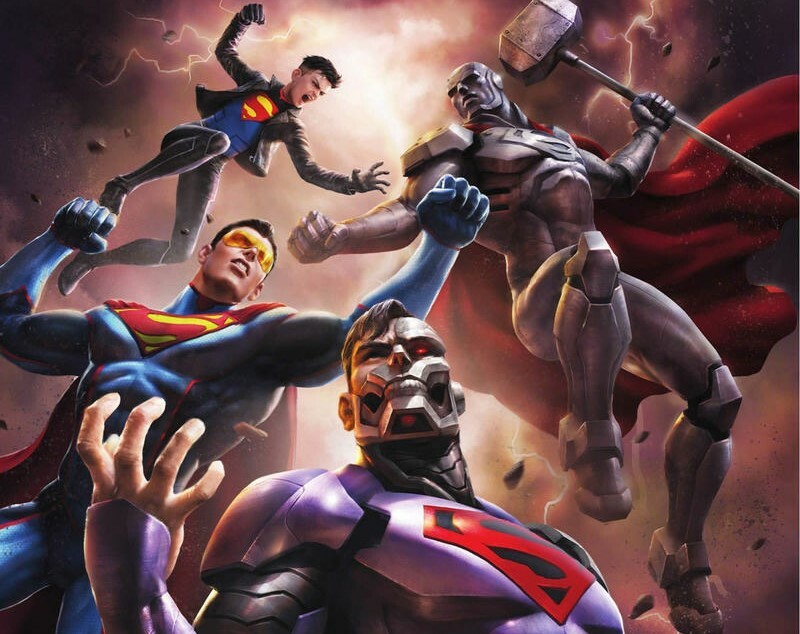 I don’t think it detracts from Reign too much to say that doing a trilogy, splitting this movie into Reign of the Supermen and The Return of Superman, would have allowed for greater development and exploration of the four replacement Supermen. Writers Jim Krieg and Tim Sheridan have done an excellent job of condensing the saga down to its core and reinventing it to fit within the animated movie canon. Though it may not be the direct adaptation some fans hoped for, the heart of the story is there, and I was truthfully impressed at just how much they did managed to adapt, and how many nods there were to some of the subplots they couldn’t fit in. As with The Death of Superman, it’s great to see the proper Justice League in this movie. It’s something we didn’t get in the comics and it adds to this adaptation. I loved the voice cast in The Death of Superman so it’s great to see them all return along with some fantastic new additions. There’s plenty of familiar names for fans of DC TV, with Black Lightning‘s Cress Williams as Steel, and Gotham‘s Cameron Monaghan as Superboy. This Superboy borrows from both the 90s era comics and Geoff Johns’ more recent work in Teen Titans, allowing Monaghan to deliver a character that’s the tonal opposite of his work on Gotham as Kon-El struggles to reconcile the truth of his birth with the hero he wants to be. Rebecca Romijn’s Lois provides the heart of the movie, in fact you could even say this is Lois’ movie. Lois’ investigation into the Supermen drives the narrative forward and Romijn’s performance encompasses everything from grief, to the intrepid reporter we know and love, to hero in her own right. Her team up with Rainn Wilson’s Lex Luthor is both unexpected and enjoyable as they work together to bring down the true villain of the story (another fantastic vocal performance, which I won’t name due to spoilers for anyone who is unfamiliar with the story). 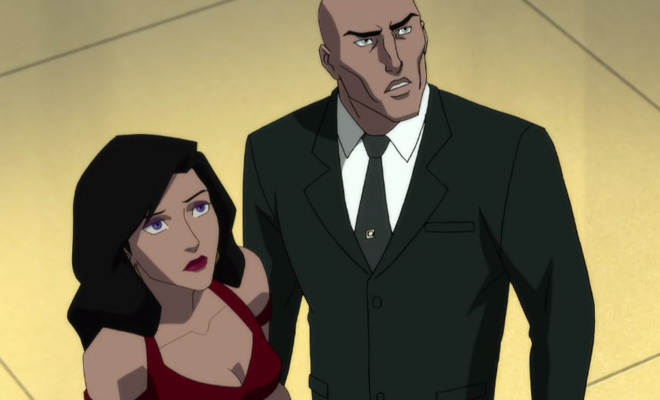 The animation is what you’d expect based on any of the recent DC animated movies. I was lucky enough to see one of the theatrical presentations of Death and Reign earlier this month, and, whilst there are times you can tell that the animation was done with the small screen in mind, it still held up well on the big screen. When it comes to the big action scenes, of which there are plenty in this adventure, the animation is fast and fluid. There’s nothing as big and epic as the previous movie’s showdown with Doomsday, but the climatic confrontation presented here is equally satisfying in its own way. 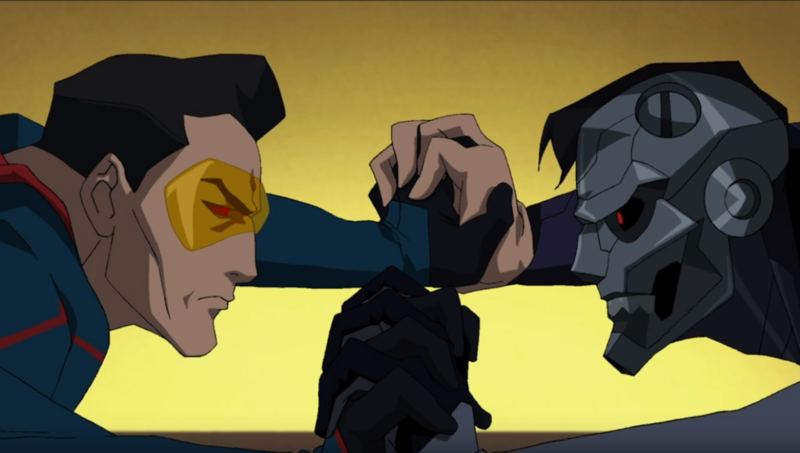 Reign of the Supermen is an ambitious adaptation of the legendary comic story, updated for DC’s animated movie universe. Though the adaptation could have benefited from an additional movie, Reign successfully adapts the core of the story with satisfying arcs for the lead characters anchored by strong vocal performances. Whilst it does not quite reach the heights of The Death of Superman, it is a worthy follow up and a fulfilling conclusion to the story. 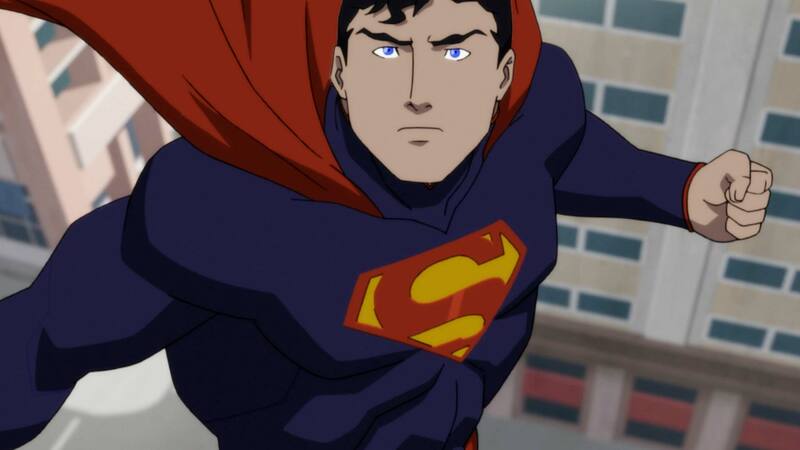 Reign of the Supermen releases today on 4K Ultra HD and Blu-Ray.